If you arrive at Battle High School’s media center early in the morning before students fill the hallways, you might just catch a group of students, teachers and community members gathered around tables, deep in conversation about a book they’ve recently read. 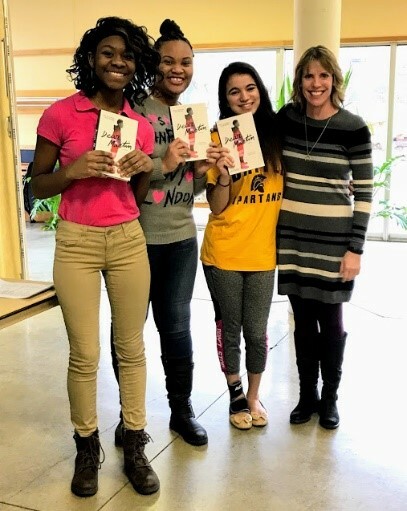 These book clubs, called Project LIT Battle, began this August when teacher, Lynn Hagen, became the Site Leader for Project Lit Community, a grassroots organization, started in Nashville, Tennessee by English teacher Jarred Amato, with the mission of spreading the love of reading among teens and eliminating book deserts in communities. There are currently 60+ Project Lit Community book clubs in over 20 states around the country. At Battle High School, Project Lit Battle is organized and run by Ms. Hagen’s 10th grade AVID Elective class. Students read the books, discuss them as a class, and then plan, organize and run breakfast book clubs. So far, Project Lit Battle has read The Hate U Give by Angie Thomas and Solo by Kwame Alexander. In February, they will discuss Dear Martin by Nic Stone, and the author will be joining their book club. Two more book clubs will be held this year – one in March, where they will read Refugee by Alan Gratz and one in April, to discuss Jason Reynold’s book, Long Way Down. Given a chance to read relevant, dynamic Young Adult literature, kids really do want to read and talk about books. Hopefully, Project LIT Battle will continue to grow. More book clubs, author visits and service projects are already in the works for next school year. 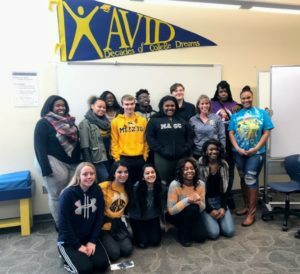 For more information on attending a book club or becoming a sponsor, follow @ProjectLITBHS on Twitter, or email Ms. Hagen at lhagen@cpsk12.org You can also catch up with Ms. Hagen on her blog, Blue-Skyteaching.blogspot.com where she writes about teaching high school readers and writers. Thank you, Ms. Hagen and AVID students, for sharing your wonderful program with our community! !